Traveling to new places not only enriches our own lives but can have a significant impact on the communities we encounter. Compass & Key is highlighting the people who have found innovative ways to give back while discovering the world. Compass & Key is thrilled to kick off our Giving Back series with Pack for a Purpose, a nonprofit that empowers travelers to bring meaningful items to the local community they are visiting. All it takes is a little room in your suitcase. “My parents were big believers in the benefits of travel,” says Rebecca Rothney, Founder of Pack for a Purpose. “Travel was always viewed as an opportunity to meet new people and have new adventures.” Having traversed all seven continents, including hosting her wedding in Antarctica, Rebecca started Pack for a Purpose at age 60 after years as a successful small business owner. She hasn’t looked back. C&K: How have your travels inspired Pack for a Purpose? C&K: What are some of the most commonly requested items? C&K: How can Compass & Key readers participate in Pack for a Purpose? Rebecca: “It’s easy! Visit our website, find your destination, identify a project, and leave a little extra room in your suitcase to bring your donations. You don’t have to stay at a participating accommodation or tour company. Just drop off the supplies during your vacation, and they will deliver to the project on your behalf. Our "How to Pack" page helps maximize your suitcase space. Travel tip: bring your Pack for a Purpose supplies in a reusable tote or, better yet, house the supplies in something that could be part of the donation, like a backpack. Some countries no longer allow plastic bags, so reusable bags are best. 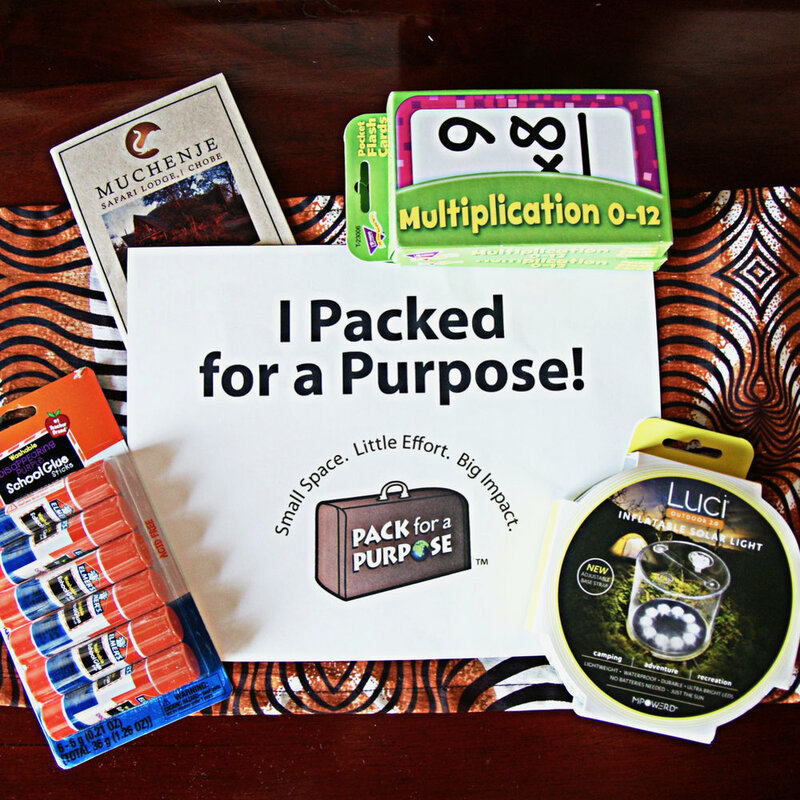 C&K: What are ways all of us can help bring Pack for a Purpose to destinations that are not yet part of the program? C&K: Where are you traveling next? Here is a snapshot of some of the incredible Pack for a Purpose programs in amazing destinations around the world. With projects in over 60 countries, you're bound to find one for your next vacation. Pack for a Purpose, a 501(c)(3) charitable organization, relies on volunteers and donations to continue maintaining and expanding their network of community projects around the world. If you can, help support the great work being done by Pack for a Purpose by donating through their website. You can also select Pack for a Purpose as your charity of choice through Amazon Smile, which donates a portion of all eligible Amazon purchases. Share our infographic to spread the word about Pack for a Purpose and encourage your fellow travelers to participate!